Skin cancer is one of the most common carcinomas of this century. It used to be the triad of pale skin, blue eyes and blonde hair that predisposes one to skin cancer. However, with the changes in lifestyle and clothing preferences, break in the ozone layer and exposure to other environmental hazards, the incidence of skin cancer is currently not confined to the white race. 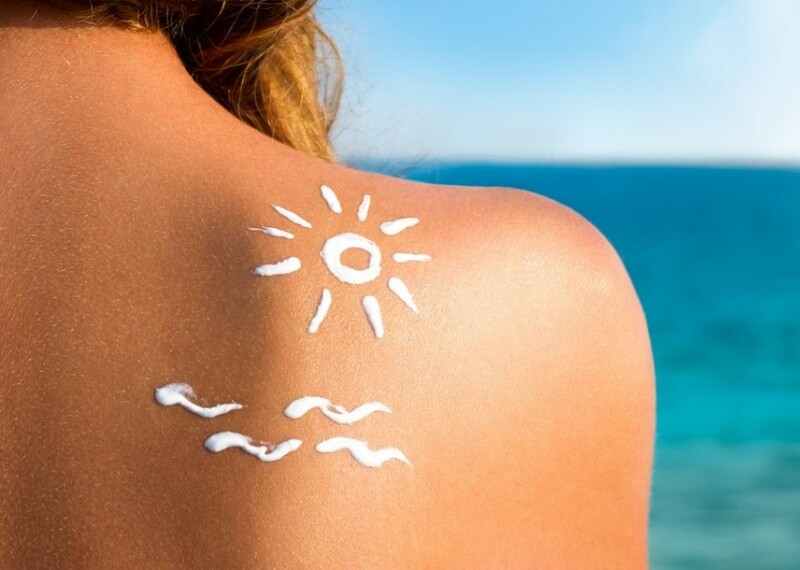 Eighty percent of skin cancers is caused by sun exposure. Twenty percent is due to other factors like preexisting skin conditions (e.g. congenital and dysplastic moles, actinic keratosis, cutaneous horn, albinism, Xeroderma Pigmentosum), genetics/ heredity, chemicals (e.g. arsenic, coal), viruses (e.g. human papilloma virus), and radiation (e.g. xray). Skin cancers are conveniently divided into 2 main groups: MELANOMA and NONMELANOMA SKIN CANCERS (NMSCs). Within the NMSC group belongs the most common form of skin cancer called Basal Cell Carcinoma (75-80%). Squamous Cell Carcinoma comprises around 18% of NMSCs. The rest of NMSCs consist of the rare forms of skin cancers like eccrine gland carcinoma, sebaceous gland carcinoma, dermatofibrosarcoma protruberans, etc. Melanoma is one of the deadliest cancers. It is the malignancy of the pigment cells of the skin known as melanocytes. Melanoma usually forms from precancerous lesions like dysplastic moles or congenital nevocytic nevi. Warning signs can be summed up by ABCDE: A- Asymmetry, B- irregular Border, C- variegated Color, D- Diameter larger than 6 mm or Different among all the moles in the individual, E- Evolution of the lesion. Melanoma can rapidly metastasize to the lymph nodes and other organs like the brain. It is notorious for microsatellosis. On the other hand, Basal Cell Carcinoma (BCC) can appear like an indolent papule which bleeds and forms crust but never completely heals. The classic type looks like a pearly white papule with rolled borders and telangiectasias. Among Filipinos, the pigmented variant is more common, appearing as a dark nodule or papule which easily bleeds. BCC rarely metastasizes but can cause severe local destruction if left unattended. Squamous Cell Carcinoma (SCC) can take 2 clinical forms- either as a non-healing scaly patch or as a big scaly fleshy mass. It usually develops from precancerous lesions called Actinic/Solar Keratoses- which appear as red patches with adherent scales on sun-exposed areas of the body. Unlike BCC, SCC can metastasize to the lymph nodes and nerves if left unattended. Once suspected, skin cancer lesions may be checked initially using a dermatoscope and must be biopsied by your doctor- either through the use of punch or excision biopsy. Your dermatologist would be able to help you decide on the best diagnostic tool to use to confirm the diagnosis. Once confirmed, surgery is still the first treatment option. Mohs Micrographic Surgery (MMS) offers the best cure rate for NMSCs. MMS is the microscopically-controlled excision of skin cancer with the use of obliquely-cut frozen sections. In MMS, the doctor acts both the pathologist and surgeon, minimizing errors in tumor orientation and omission in identifying tumor extensions. Although it seems to be more expensive and time-consuming, MMS can run after all the unsuspected extensions of the tumor and still spare unaffected skin, resulting in a more cosmetically-acceptable scar. Cure rate for primary BCC can be as high as 99-100%. Standard wide excision is still a good option especially for tumors located in areas where tissue-sparing is not a problem (e.g. trunk, extremities). The National Comprehensive Cancer Network (NCCN) has come up with clear guidelines on how to manage NMSCs. Location, tumor size, histologic type, and recurrence are just some of the factors to consider in determining the best treatment option for NMSCs. For melanoma, wide excision is still the recommended treatment option, according to the NCCN guidelines. Although MMS is being advocated by some doctors for melanoma, the cure rate and prognosis have not been shown to be better than the standard wide excision. Other non-surgical modalities for skin cancer range from topical medicines (like 5-Fluorouracil, Imiquimod, Ingenol Mebutate, etc.,), intralesional injection, electrosurgery and curettage, cryotherapy, Photodynamic Therapy, Radiation therapy, conventional chemotherapy to targeted therapy. These options are used if the patient has clear contraindications to surgery. Despite all the available treatment options for skin cancer, prevention is still the best way to escape its wrath. A simple thorough and periodic skin examination can be done in the confines of the home- starting from the scalp down to the toes, including the webs and plantar surfaces of the feet. A mirror can aid in examining the back. Your dermatologist can help keep track of moles and other skin lesions through a mole chart and medical photographs. Annual checkup with the dermatologist, who uses a dermatoscope to check suspicious lesions for possible biopsy, would be a prudent step especially for predisposed individuals. Staying away from the harmful ultraviolet rays cannot be underestimated. Use of proper sunscreens (SPF>/= 15 with UVA protection and physical block), tightly-woven clothing, hats and umbrellas would definitely help. Early elimination of predisposing moles and warty lesions, avoidance of exposure to carcinogenic chemicals and ionizing radiation are helpful steps to prevention. No one is exempted from having skin cancer. Even big names in US politics, international and local actors and actresses have succumbed to the disease. Many of them have become advocates of skin cancer prevention in one way or another. Knowing skin cancer aids in early detection and intervention. But as in all cancers, prevention is still the best key!